Zoo is open year-round, rain or shine. Other discount options may be available at the gate. No refunds, rebates, exchanges or rain dates. 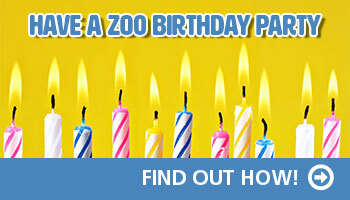 Prices are general Zoo admission and do not apply to select special events. Safari Ride bracelet: Includes unlimited train and carousel rides the day of your visit. 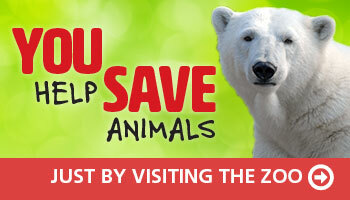 Parking Fee: There is a $6 per vehicle fee for guest parking in the Zoo lot. The fee is assessed at the ticket windows. Tip: Purchase admission tickets online and add a pre-paid parking ticket for maximum convenience. Members: If you are planning to purchase a guest ticket for someone who is NOT covered on your membership card, you may want to ride together so your guest can take advantage of your parking benefit. If the guest drives separately, they will be assessed a parking fee at the admission windows with the ticket purchase. See our Frequently Asked Questions for more details. The Louisville Zoo accepts Visa, MasterCard, American Express and Discover at all Admission Windows, Gift Shops, Membership Office, rides and major attractions and in the African Outpost restaurant.